Carol Ring is a dynamic speaker, effective consultant, and author of IGNITE Your Culture! 6 Steps to Fuel your Organization’s Profits, People and Potential. Founder and CEO of The Culture Connection, Carol offers tools customized to fit businesses and budgets of all sizes to create similar positive culture effects seen in giants like Google and Zappos. Carol offers her exciting and informative workshops and keynotes to audiences across North America. Carol spent over 25 years in leadership positions in corporate Canada. Filling pivotal roles in product launches, acquisitions, and restructuring, she gained knowledge and experience with key corporate culture tools and strategies needed to transform a business from good to great. Recognized as one of Canada’s Top 100 Most Powerful Women, and Canadian Women in Communications’ Woman of the Year 2012, Carol offers exciting keynotes and practical workshops filled with information leaders need to succeed. 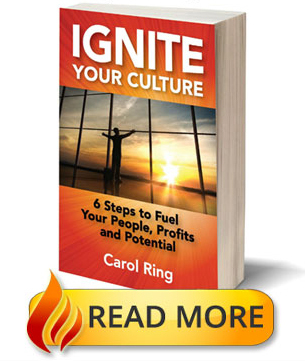 Carol Ring is a dynamic speaker, effective consultant, and the author of IGNITE Your Culture! 6 Steps to Fuel your Organization’s Profits, People and Potential. Founder and CEO of The Culture Connection, she is dedicated to inspiring leaders to improve their corporate culture. This results in happier workplaces and improved bottom line results. Carol offers tools customized to fit businesses and budgets of all sizes to create similar positive culture effects seen in giants like Google and Zappos, She teaches leaders how to develop a strong, vibrant company culture that is vision-guided and values-driven. She provides an actionable process to help leaders energize their organization’s values and fuel profits. Carol offers her exciting and informative workshops and keynotes to audiences across North America. 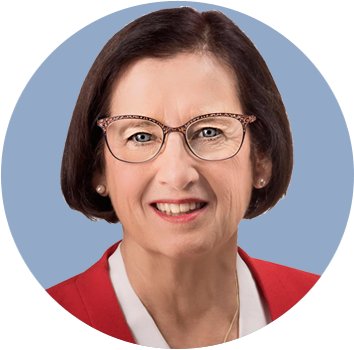 Carol spent over 25 years in leadership positions in corporate Canada. Filling pivotal roles in product launches, acquisitions, and restructuring, she gained knowledge and experience about the results of both positive and negative corporate culture. Carol knows from years of experience which key corporate culture tools and strategies are needed to transform a business from struggling to success, or from good to great. She has seen first-hand how varied corporate cultures impact bottom. Today as a certified Cultural Transformation Tool consultant of the Barrett Values Centre she is passionately committed to encouraging positive cultural transformation in organizations around the globe. Acknowledged as one of Canada’s Top 100 Most Powerful Women, and Canadian Women in Communications’ Woman of the Year 2012, Carol is a powerful leader and speaker. She has been recognized for her business acumen and for her ability to communicate and educate effectively in a business setting. Carol offers exciting keynotes and practical workshops filled with the information leaders are hungry for, as they know a positive culture can catapult their organization to the next level of success.